With all the Supra-related rumours, leaks and teasing comments from Toyota VIPs flooding the Internet recently, it’s about time we talked about the car’s platform mate, isn’t it? We’re referring to the new BMW Z4 - which has been jointly developed with the Japanese sports car - and as luck would have it, we have a pretty major update to bring you today. The car isn’t supposed to be revealed until the Pebble Beach Concours d’Elegance later this month, but thanks to these leaked images posted on Instagram by user @liucunyi, we get to take a look at the car in M40i guise from the front, side and rear. As expected, it shares much of its styling with the Z4 concept revealed at the Pebble Beach show last year, with one notable retained feature being particularly imposing kidney grilles. Other details have been toned down though - the headlights are much larger, for instance, and predictably, the teeny, tiny wing mirrors have been dropped for a bigger, regulation-friendly pair. Like the top-spec Supra, the M40i version of the Z4 is expected to be powered by a ‘B58’ twin-scroll turbocharged inline-six producing at least 335bhp. There’ll be an entry-level four-cylinder model, too. 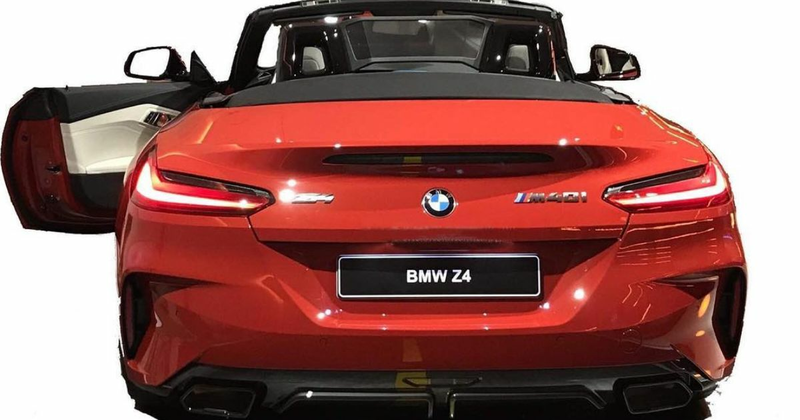 What do you think of the new Z4? Let us know in the comments.